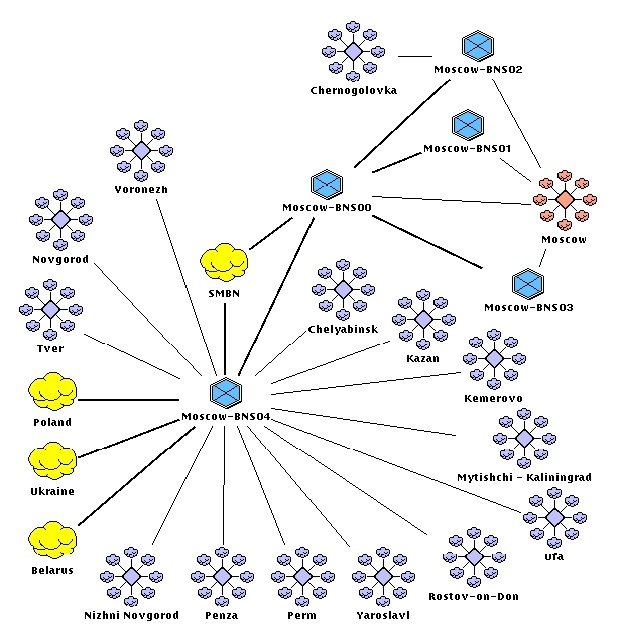 i2p is the so-called overlay network. Translated from English “overlay” – overlay or layering. In this case, there is a view of the layering over the already existing Internet, so i2p is sometimes also called the “network over the network”. All traffic on this network is completely isolated and encrypted, thereby ensuring the anonymity of data exchange. This feature was the main reason for its increasing popularity. The main difference and advantage of i2p is the inability to set the user’s IP address, which can be done on the usual Internet without any special problems. In i2p, routing is carried out through the tunnels, and the network address is encrypted, so no one can prove, for example, the fact of downloading or uploading a file to the network, which for some reason was found illegal or simply turned out to be unsuitable for the authorities. I2p can also create completely independent servers and resources that are visible only to users of this network. Moreover, the latter can be done in quite affordable ways, in particular by bundling Apache + PHP + MySQL. At the same time, the site address will have a quite memorable look of the type .i2p. Naturally, i2p has its own mail, services for instant text and voice messaging. Moreover, data transmission with the help of various programs also includes encryption, and therefore anonymity. Connect to i2p can use any of the well-known and widespread operating systems Windows, MacOS, Linux and others. To do this, you need to run a router program on your computer that will send traffic to this network. In fact, it is a gateway or proxy server that does not require special configuration. It can be installed in standard mode without any changes. Download the router program for example here https://geti2p.net/ru/download. For her work, you also need a java-machine version 1.5 or higher installed on your computer. In addition, to log in to i2p, you must enter the enable proxy (address 127.0.0.1 and port 4444) in the browser. I2p has some drawbacks. For Russian-speaking users, these include a fairly small number of sites in Russian, although in recent times their number has begun to grow. In addition, such networks are disadvantageous to those who are still using limitless tariffs, since in this case not only the data packets requested and sent by the user are transferred, but also alien ones, by analogy with torrent networks. Many do not distinguish between I2P and Tor, considering them to be of the same type as anonymous networks. There are similarities: in both cases, the connection to the Internet is organized through gateways, according to the same principles, multi-layer encryption and random construction of data transfer chains are carried out, internal pseudo-domains of sites look similarly (.onion in Tor and .i2p in i2p). And at the same time, I2P and Tor, which are quite similar in a number of features, are still very different in architecture. In Tor, data is transmitted sequentially from node to node using TCP. Due to the shortage of servers and a large number of clients, overloads often occur, which does not have the best effect on speed. I2P uses UDP for similar purposes, which allows you to build a network on the same principle that downloads files to torrent trackers are organized. Each of the users’ computers, in this case, acts as a server, which allows passing traffic in parallel through several nodes. The Freenet network so far is clearly inferior in popularity to i2p and Tor. Unlike the last two, Freenet is more like a cloud-based data repository, which is stored in encrypted and distributed form and protected by a special key. To assemble a puzzle file from pieces that lie on different servers, you need to show this “password”. In this connection, it is rather difficult for outsiders to get or delete data from the network. In this case, access to the file is possible even if the sender is currently disconnected from the network. Each type of anonymous network has its own advantages and disadvantages, so it is logical to use them all, choosing the type depending on the specific task. Freenet is convenient for anonymous file distribution, i2p is great for creating torrent trackers and communication, and Tor is able to guarantee a high degree of anonymity provided by a large number of nodes. Together, anonymous networks are a great tool for dealing with censorship.